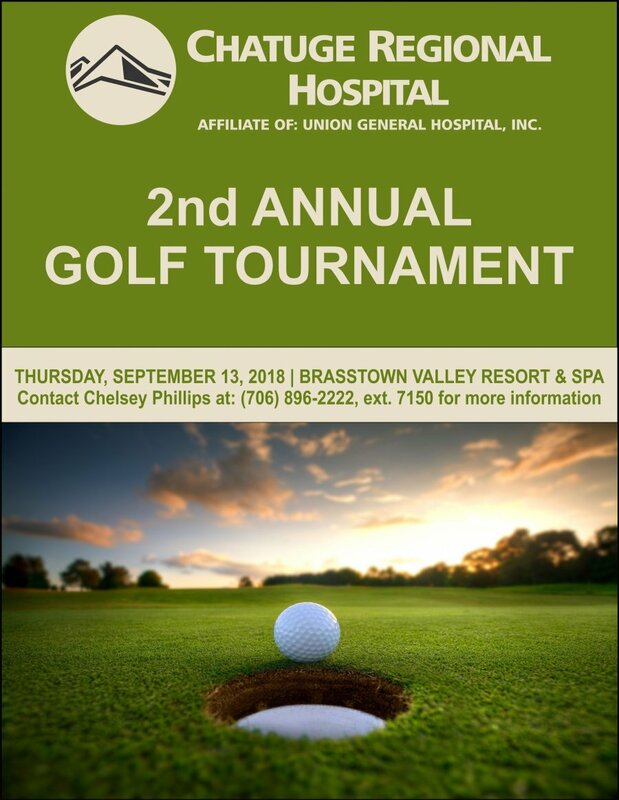 On Thursday, September 13, 2018, Chatuge Regional Hospital will be hosting their 2nd Annual Chatuge Regional Hospital Golf Tournament. The tournament will take place at Brasstown Valley Resort and Spa in Young Harris, Georgia. Chatuge Regional Hospital is a 25-bed critical access hospital that offers cutting edge technology and personalized care to Towns County, and surrounding communities. Whether you want to play in the tournament or be a sponsor, we invite you to show your support and partner with us!